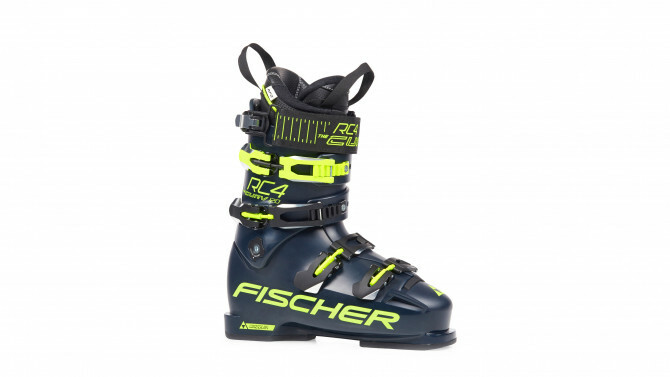 Top-level race boot for aggressive skiers featuring Precision Steering, the 3-D canting adjustment system. Composite Flex Control, with heat moldable Aramid, allows consistent shell flex in all temperatures. Connected Fit, matching liner and shell, offers an ergonomically optimal fit.